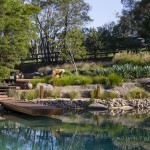 The impact of gardens and landscapes on property value is a commonplace topic within industry and media alike. 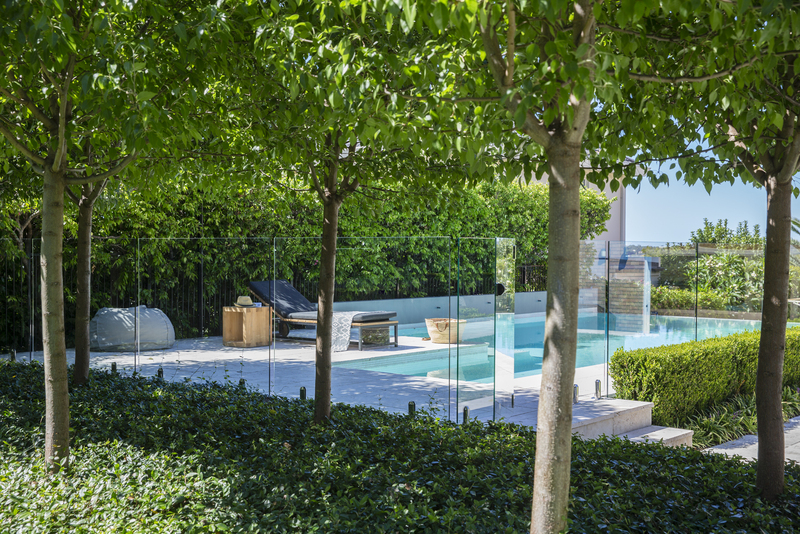 But what about the more intrinsic benefits associated with outdoor spaces – the potential for gardens and outdoor living areas to transform the mind, body and soul? Founder and creative director of Landart Landscapes, Matt Leacy, recently put this idea into practice when he transformed an atrium for cancer patients at Sydney Adventist Hospital. 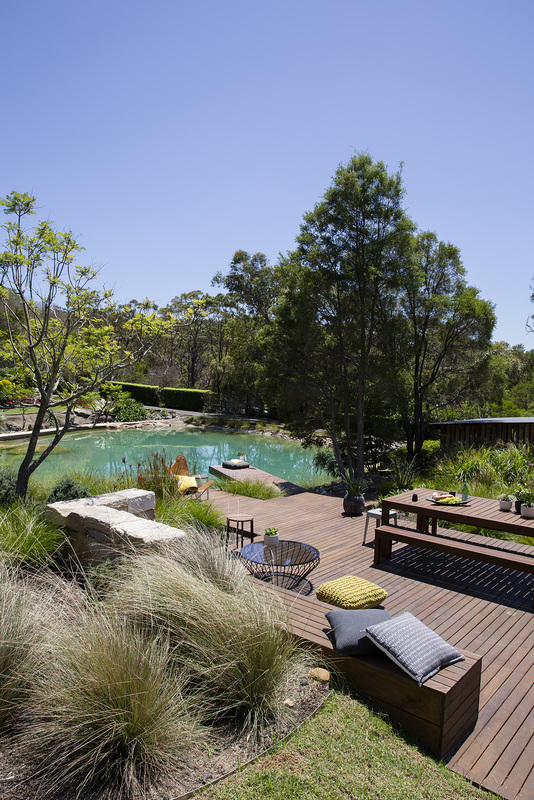 Taking this idea beyond hospital environments, Matt believes that anyone can find restorative benefits in outdoor spaces – from reflection and relaxation to tranquillity and healing. It’s all about bringing senses alive with different materials, deigns, colours, scents and sounds. And proving the benefits of working with nature further, gardeners and florists were found to be the happiest of all professions according to UK economist and behavioural scientist Professor Paul Dolan, who released a book Happiness by Design last year. 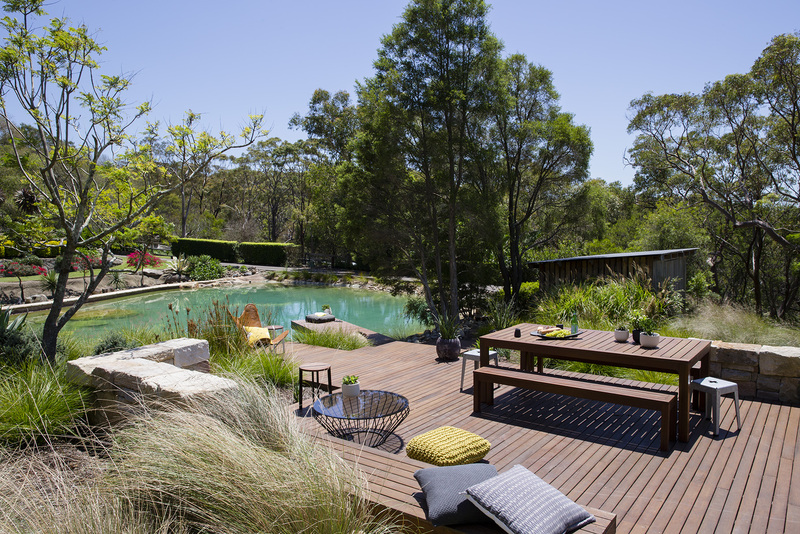 Below, Matt shares his top tips for maximising the restorative potential of an outdoor space. 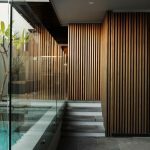 “In terms of creating positive energy in outdoor spaces, a great place to start is with the key principles of Feng Shui – wind and water,” says Matt. “Water is proven to be a very calming element on humans, with multiple studies showing it can help lower blood pressure, improve physical health and accelerate healing,” notes Matt. “If you’re after a design centerpiece, you might consider something a little larger like a rock pool, fountain, cascading pond or even a waterfall. 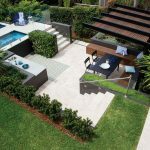 “Obviously, larger water features need to take into account factors such as cost, size and layout, but most water features can be customised to the individual requirements of an outdoor space. 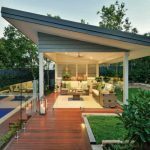 “In terms of outdoor water features, the biggest asset has to be a pool – and this is what most Aussie homeowners want in their backyard if they can afford it,” says Matt. 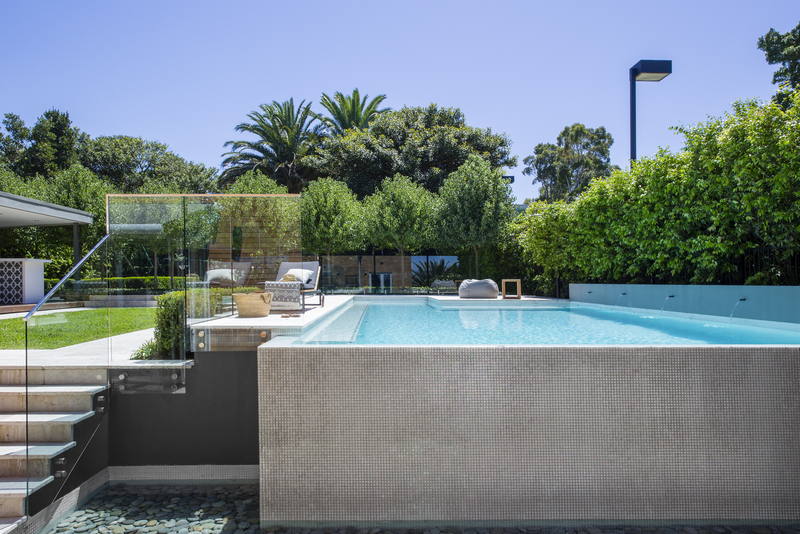 “When considering the best types of pools for health and relaxation, a number of factors come into play including colour and the type of filtration system,” says Matt. 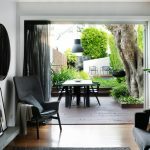 “Colour-wise, traditional mid-blues will likely always be a favourite among consumers, but I don’t think you can go past white and black pools when it comes to creating a calming and natural ambience. 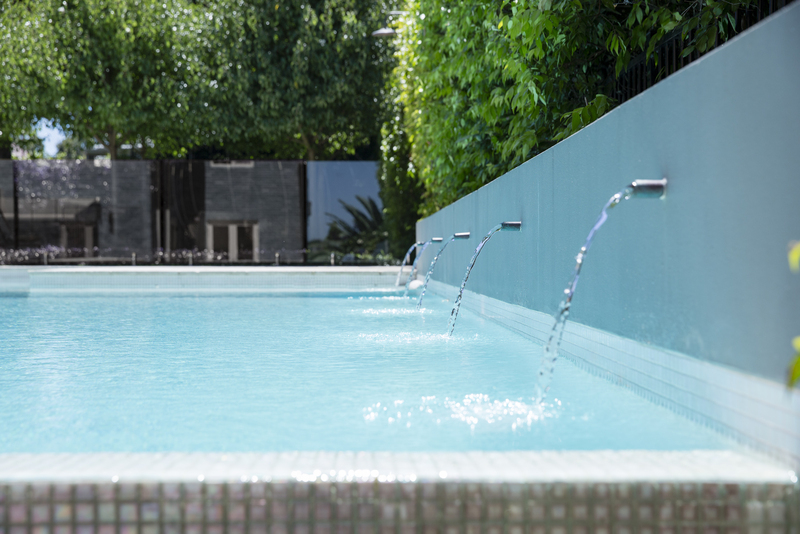 “For health, I would also recommend installing a mineral pool filtration system,” Matt adds. “Mineral systems utilise magnesium, which is required by every major organ in the human body. If you don’t get enough magnesium, your sleeping patterns and general health can suffer in multiple ways,” he says. 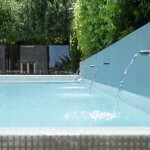 “Mineral systems deliver a healthier alternative to traditional salt or heavily chlorinated pools. 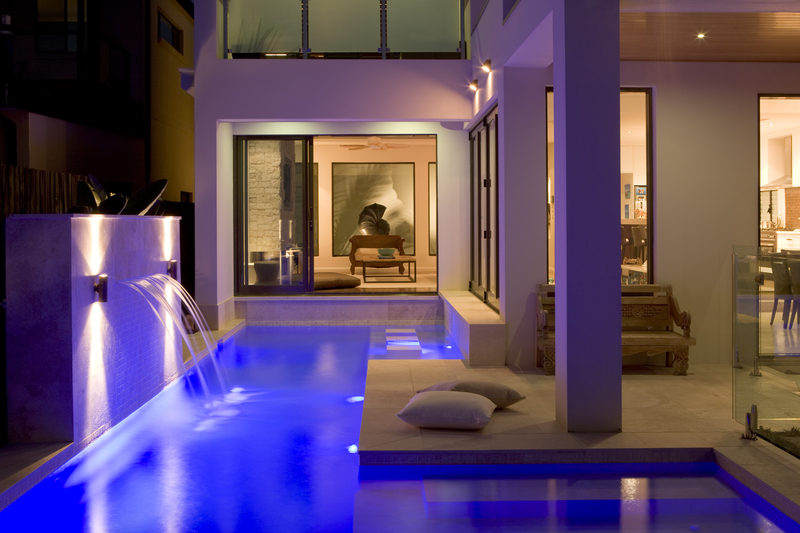 The water remains crystal clear, and your skin, eyes and hair will also feel better. It’s just a lot softer on the body as a whole. 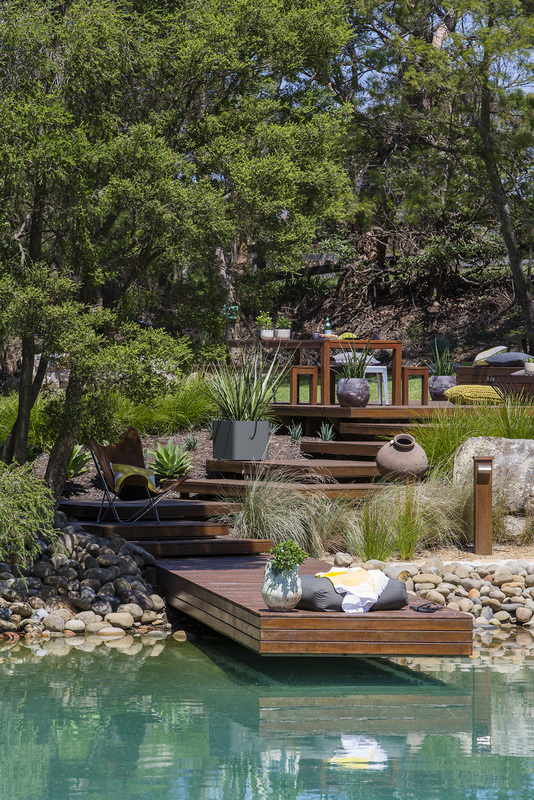 “Plants and flowers can help to bring a sensory garden to life – offering comfort, relaxation and stimuli,” says Matt. 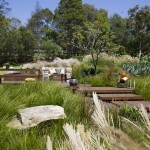 “The same goes for plants that naturally scent outdoor spaces,” Matt adds. 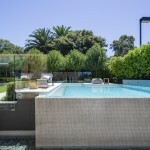 “There are some stunning flowers that work to perfume outdoor areas including sweet alyssum, honey-scented white flowers, gardenia, jasmine, frangipani, port wine magnolia and Daphnes. Break off a leaf of the lemon scented myrtle and keep it in your pocket and then you can savor it all day. “For health and healing, you can’t go past Eucalyptus,” Matt adds. 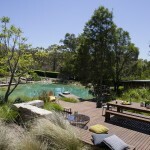 “Eucalyptus can be grown in pots and used to scent patios, decks and other outdoor living areas. 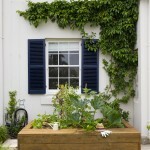 “For a veggie patch, all you really need is a small patch of land with good quality soil. Alternatively, you can buy relatively cheap above-ground vegetable boxes from most local garden retailers. “In terms of year-round veggie patch plantings, iceberg lettuce, snow peas and kale are top choices, as well as spinach, zucchini, and cherry tomatoes,” says Matt. 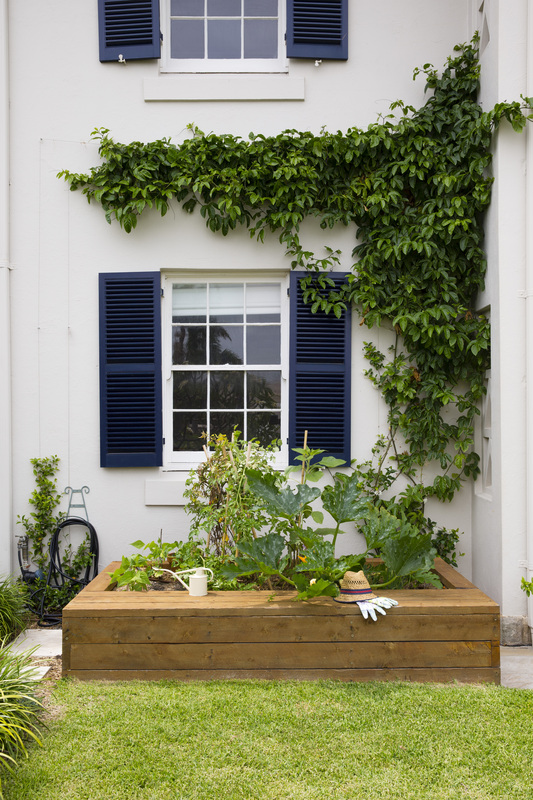 “Through herb gardens, you can reap the benefits of scent, colour and adaptability,” adds Matt. “Pots and planter boxes can be used, so you don’t need a great deal of space. “You can also grow whatever herbs appeal most to your wants and senses – whether they’re aromatic classics like basil, mint, parsley, thyme, rosemary, chives or trendier herbs with health benefits such as stevia, turmeric, ginseng, Echinacea and maca. “And aside from the fresh produce you reap, the cultivation process itself can be very positive for the mind, body and spirit,” adds Matt. “Gardening offers many people a creative and immersive outlet to escape the stresses of everyday life. “Many people also find it rewarding to toil over something and see it come to life. And if you’re working in bigger spaces, you can get a lot of incidental exercise,” adds Matt. 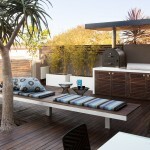 “Auditory elements can be a great way to foster tranquility and ambience in an outdoor space,” says Matt. 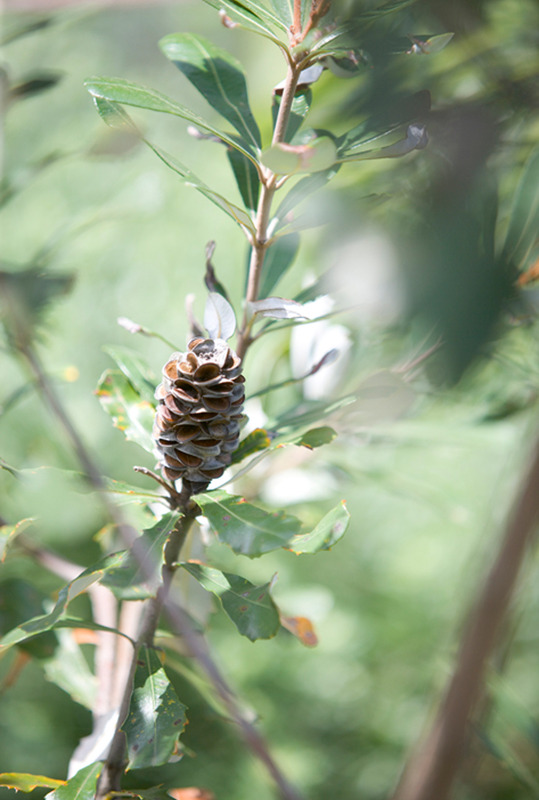 “As we move into the cooler months, banksias, grevilleas and bottlebrush do a stellar job of attracting birds and bees,” says Matt. 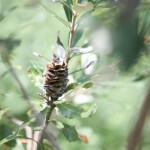 “Seed and fruit-feeding birds will feast on the likes of bottlebrush, She-oaks and palms,” he adds. “If you want to sustain your musicality, vary your choice of herbaceous perennials, annuals and biennials so that they flower in different seasons and provide a year-round food source for birds, butterflies and bees,” Matt says. “Depending on what look and vibe you’re going for, you might also look to introduce wind chimes and some outdoor instruments,” Matt adds. 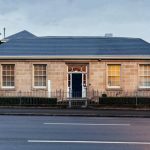 “We are seeing this type of thing more and more in elderly homes and schools where music therapy is being used to help restore and develop human senses. 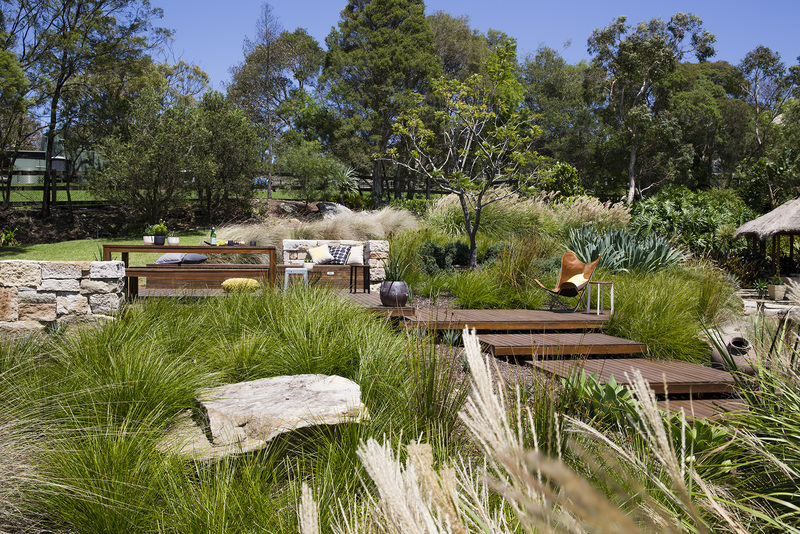 “Landscape design also has a massive impact on the way an outdoor space feels,” says Matt. 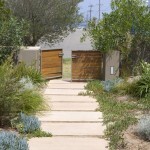 “For example, we always try to integrate fences in ways that don’t cut off landscapes and create hard barriers. 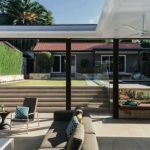 You want your area to have multiple facets and dimensions, but you don’t want to close the space off completely and make it feel smaller,” Matt says. 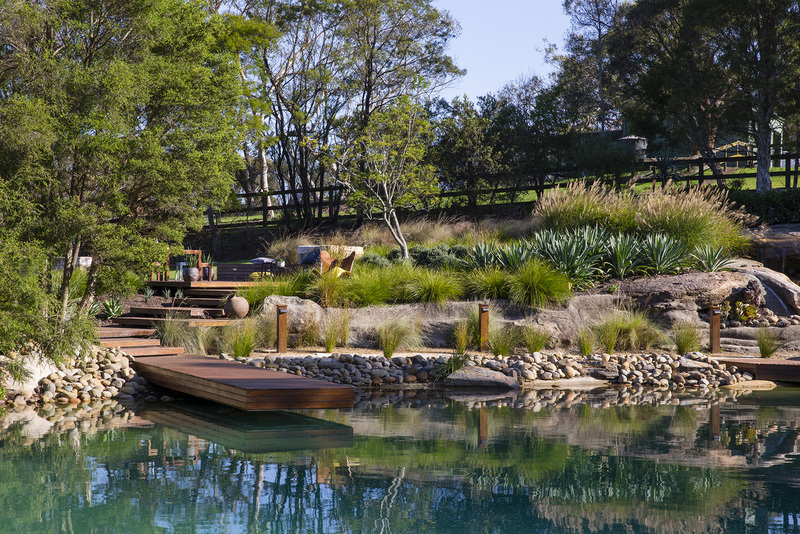 Co-founder of the award-winning Landart Landscapes, Matt Leacy, has 20 years’ experience in design, construction and maintenance services across landscaping and pool installation for both residential and commercial properties. 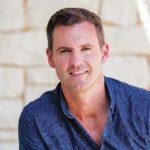 Matt is a qualified horticulturalist and former President of the LNA Master Landscapers Association (the equivalent of the Master Builders Association for the landscaping industry).